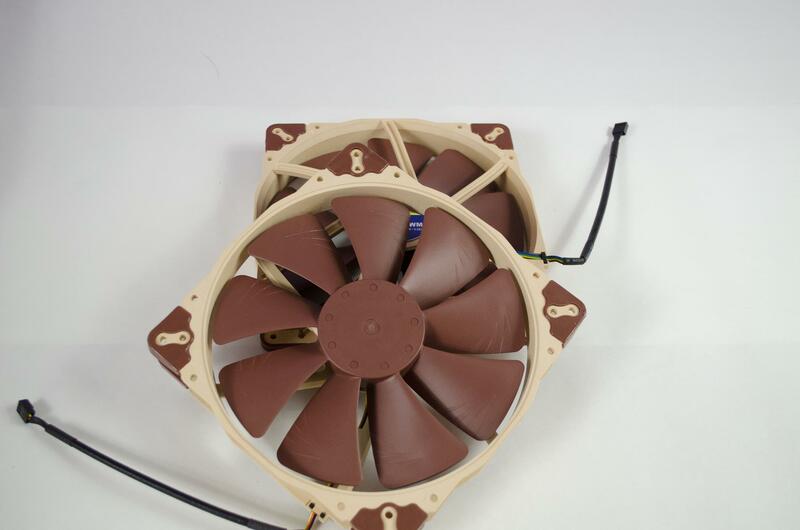 Noctua is known for offering some of the best performing fans and Air CPU coolers in the market. 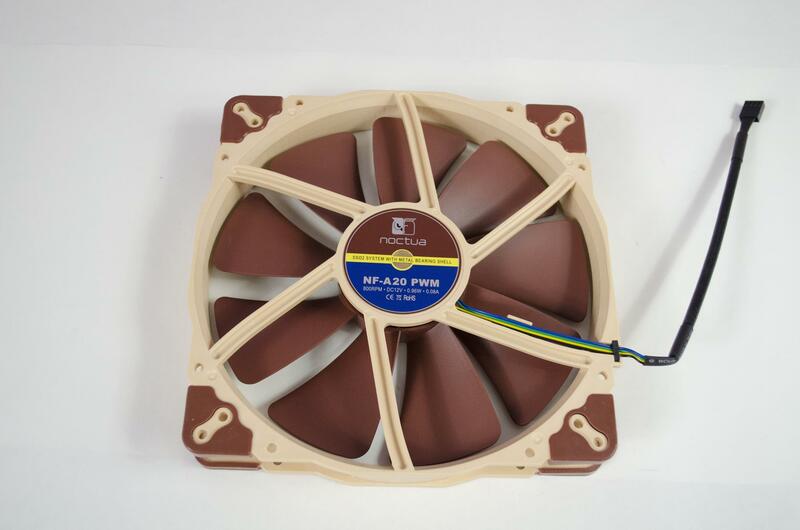 While some may take issue with their original colour scheme, Noctua have combated this with their release of the iPPC and Redux line of fans. 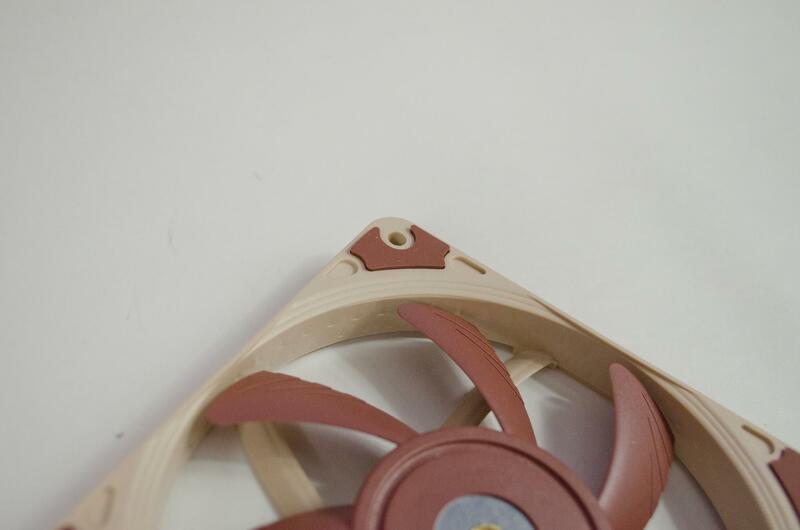 Also, Noctua took the market by storm with their release of the Chromax fans and accessories which allow you to customize the colour to your preference. 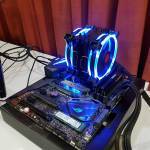 Due to the amazing performance, which includes quiet operation and amazing cooling power, many were even able to overlook or get past the original colour scheme. 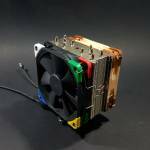 Today I will be taking a look at the A-Series fans from Noctua as well as a few accessories they sent in that they thought would go well with the fans. These fans and accessories added to an already extensive lineup of products when released and were warmly welcome to the family. Today, the fans will take precedence and you will soon see why. Accessories are always good, but these fans have something special going for them, so let’s have a look! 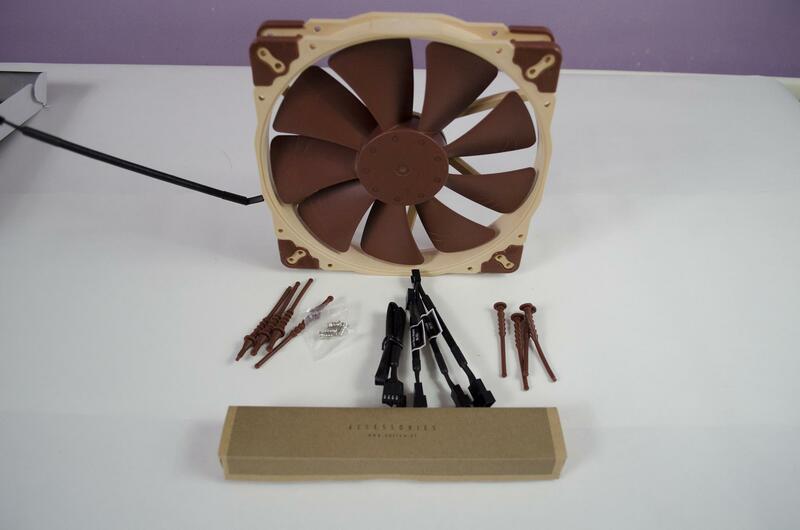 First up, we’ll take a look at some of the accessories Noctua has sent us to test out with their new A-Series fans. 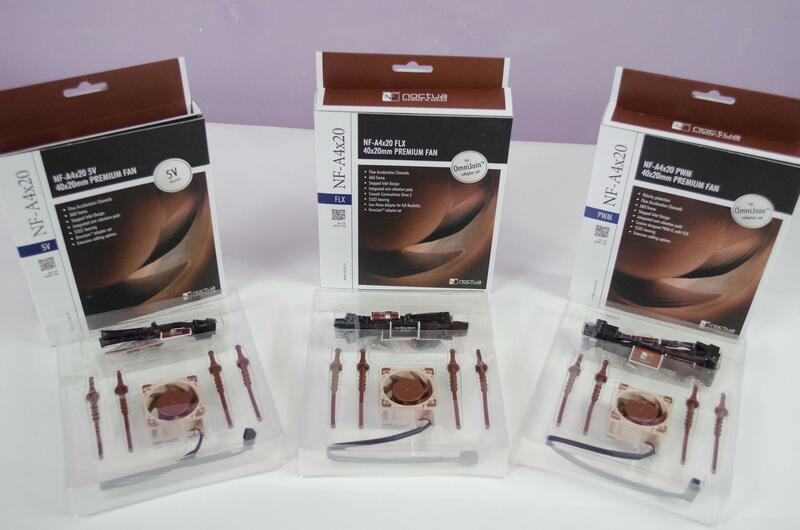 The accessories Noctua offer are just another one of the reasons why they’re held in such high-regards around the industry. NA-FC1 Fan Controller – With the included fan splitter, you can control up to three fans manually and at the same time. You must use this with PWM fans but when doing so, you can control the fans speeds from 0-100% using the turn knob. Pressing the knob activates the no stop feature which won’t let your fan spin below 300rpm. The orange LED light is used to help judge the speed of the fans but how bright or dim it is. 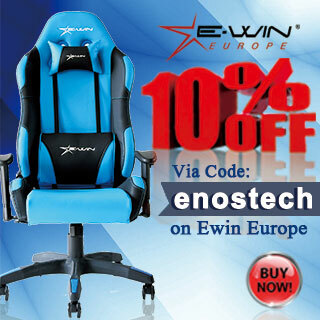 This controller can be used on its own for manual control or with the automatic fan control on your motherboard giving users the best chance possible to make the most out of it. NA-SAV3 / NA-SAV4 Anti-Vibration Mounts – These are designed to offer users an easy way to install their fans and also reduce noise and vibration. 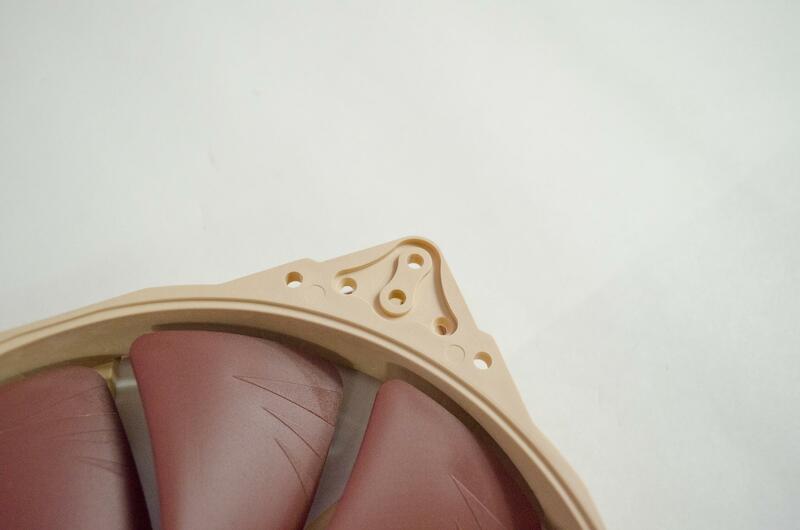 As you see, they have different designs between the two models on show and between them, can be used with a wide range of fans. 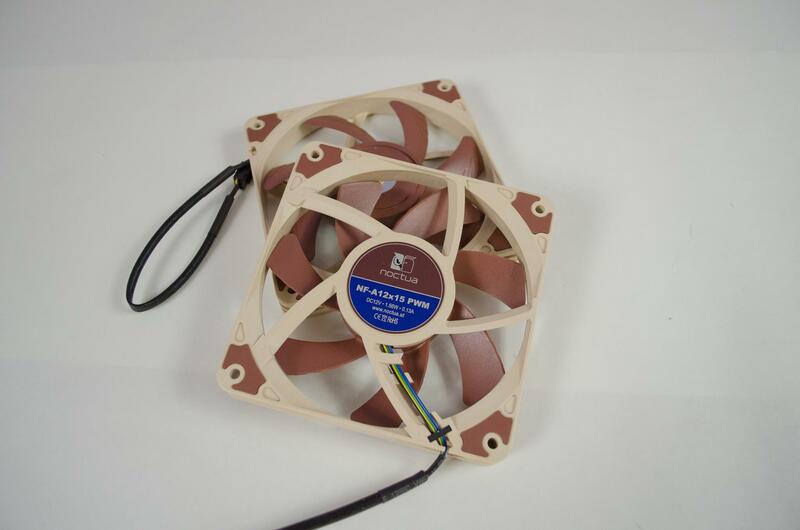 These can be used with all Noctua fans and most 3rd party fans that use standard size mounting holes. 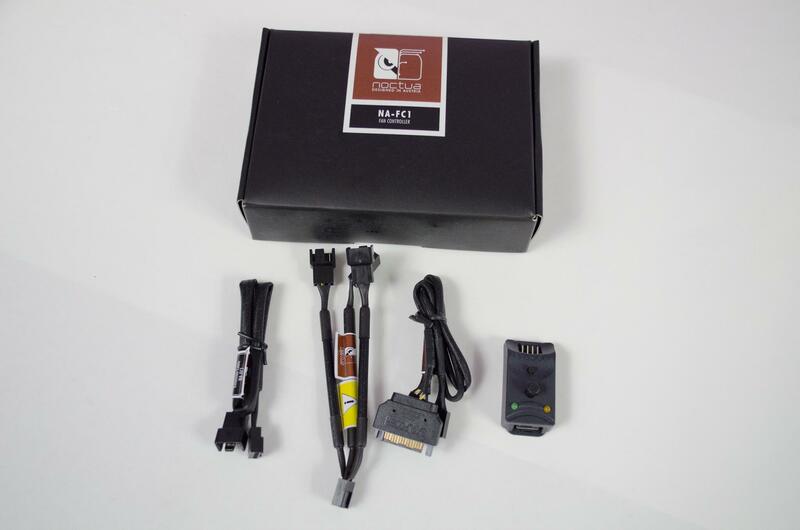 NA-SAC5 – This lets you plug in a 4-pin PWM and power if off a SATA power cable from your power supply. This will come in handy for those who don’t have many fan ports on their motherboard and are not keen on getting a controller. NF-A20 FLX / PWM – The main difference between these is the speeds they run at. The PWM version can be controlled VIA a 4-pin PWM fan controller on your motherboard and offers the user total control of speeds. Whereas the FLX version runs at 800 RPM unless you use the supplied low-noise adapter which then runs the fan at 550 RPM. 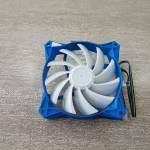 These fans are a massive 20CM in size and provide a load of airflow while remaining near on silent! I do all my fan testing out of the case and even then, they were nice and quiet. Installing them into a case will only help to muzzle the tiny bit of sound output they create. 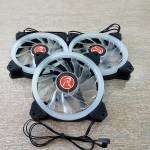 These fans are amazing and would be great to help bring a mass amount of air into any case that has room for a pair of 200mm fans in the front! Even a single one could do the job and create enough intake airflow to keep your internal components cool. 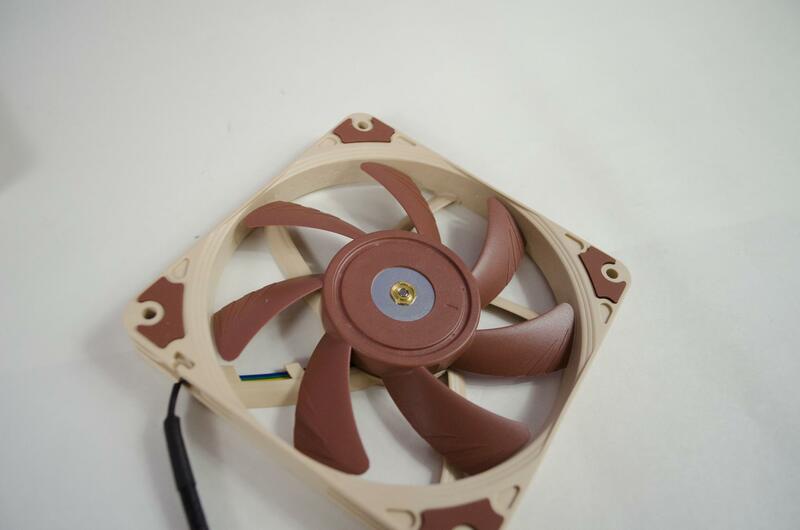 One thing Noctua has always gotten right in my book is the accessories they include with their fans. 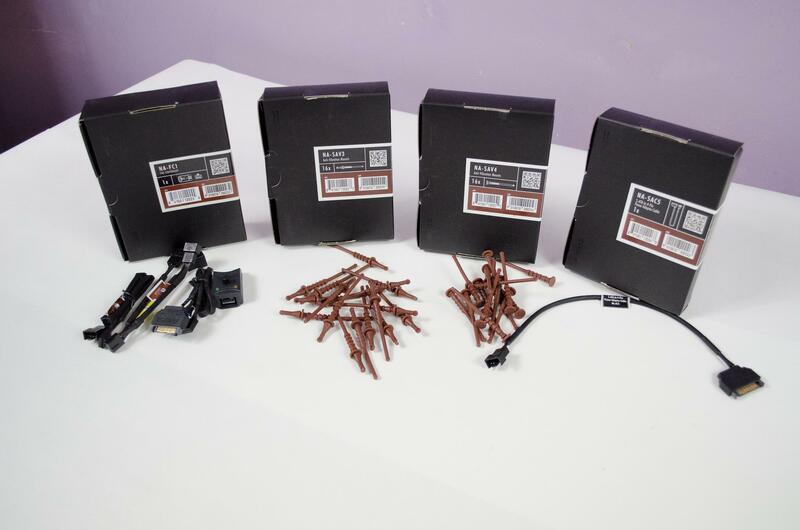 Not only do you get your mounting screws, the A20’s come with cable extension, MOLEX adapters and anti-vibration mounts. 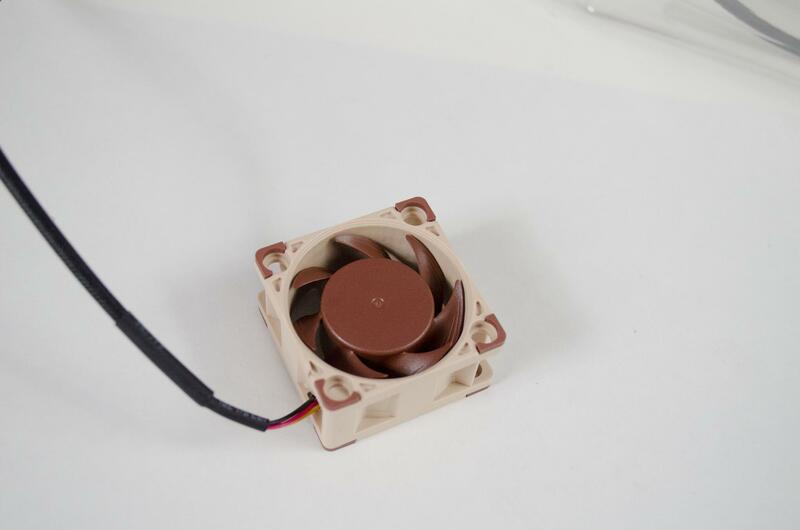 Anyone familiar with Noctua won’t be surprised at the look of the A20’s design. 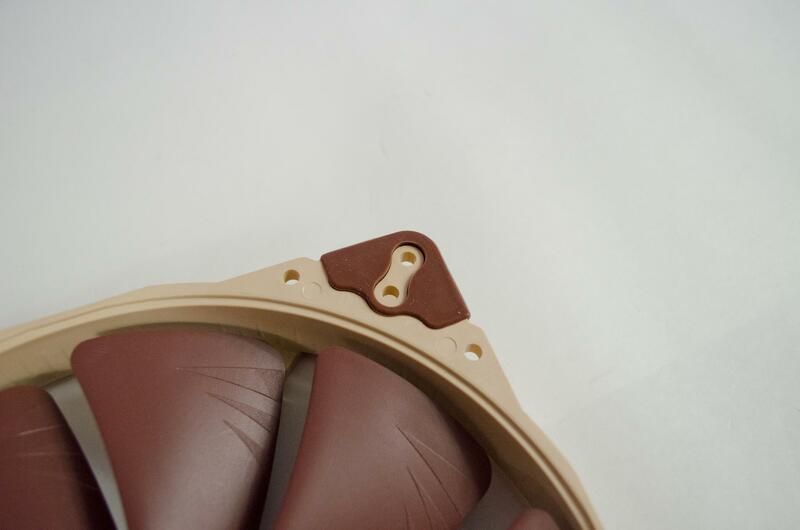 We have the brown fan blades and anti-vibration rubbers sitting on a light tan frame. While I wouldn’t be opposed to having Noctua put their logo on the front of the fan, it is nice to see that big circle bit in the middle nice and clean. This also leaves users more possibilities to customise these to their liking by adding stickers or being able to paint them a bit more easily. Those who chose to use the old screw method to secure the fan to their case will be happy to see these anti-vibration rubbers in each corner. 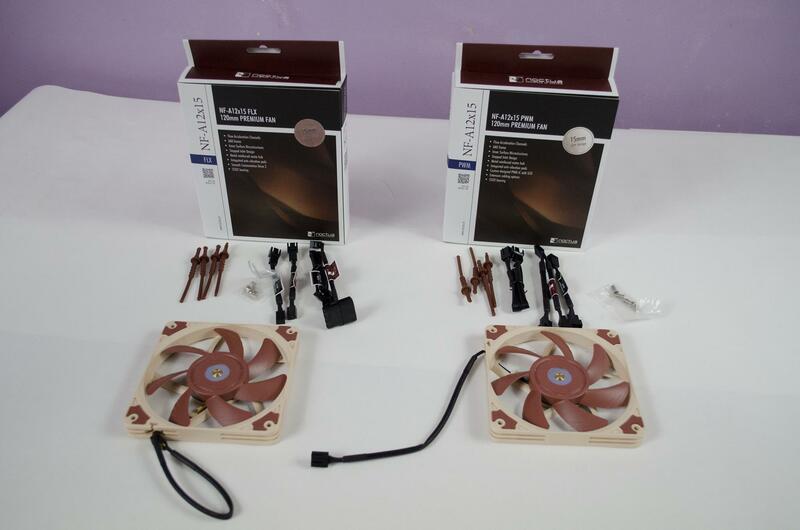 These will help keep noise and vibration to a minimum and come as standard which is a very good look from Noctua. However, they are also easily removable should you have other ideas in mind. 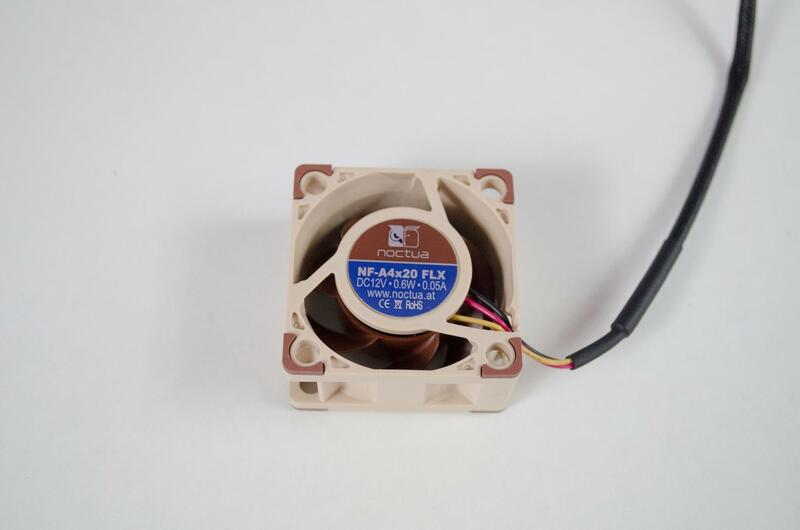 On the back of the fans, we can see they feature the SS02 system with metal bearing shell. We can also see they are both 800 RPM and feature short cables. 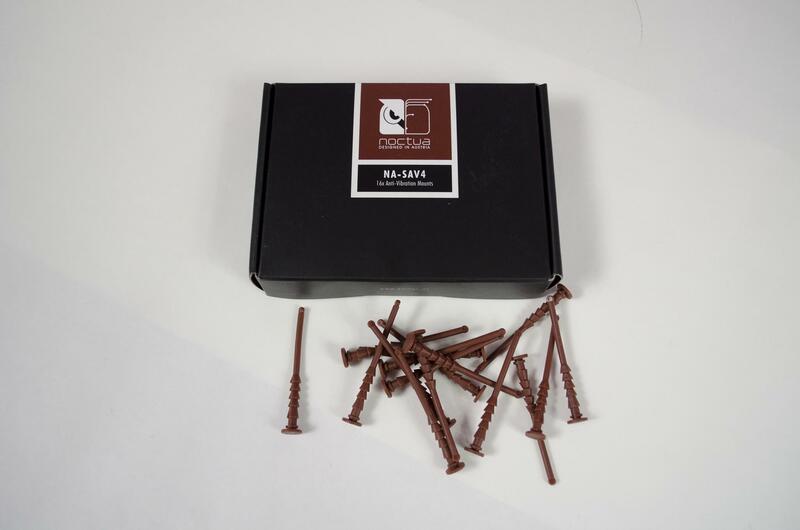 However, as we caw, Noctua has included extensions for those who need them to make sure you can plug these fans in where needed without any problem. NF-A4x20 – These little bad boys right here are quite fun to play with. Coming from a 200mm fan to a 20mm fan is a massive difference. However, they both serve their purposes and can be used in a number of scenarios. The best thing about these little beauties is the fact that they can fit in loads of tight spaces where traditional sized fans just can’t. I used to have a 3D printer and I upgraded two of the stock fans to a pair of these for the performance and quality gained. The NF-A4x20 come in four different models, all of which include some accessories. Some come with the OmniJoin Adaptor set, an extension, low-noise cable and they all come with some anti-vibration mounts. 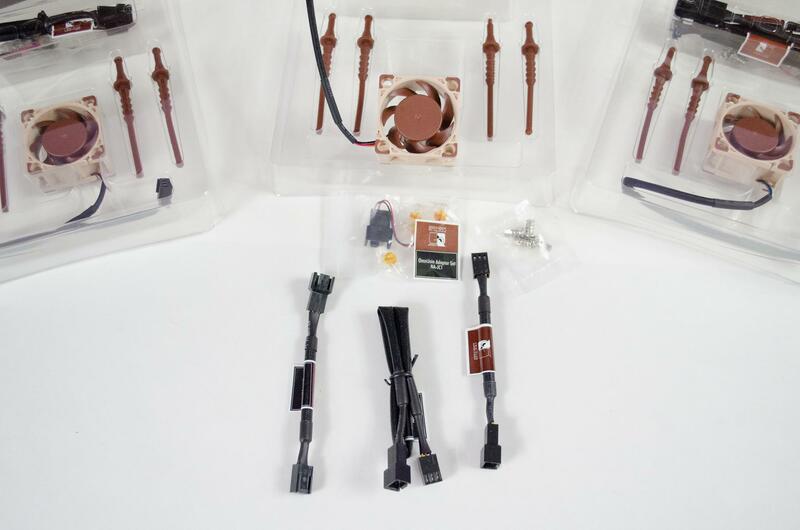 Even though they are much smaller in size, Noctua has not cheaped out and they all still come with a great set of accessories to help you make the most of them. Again, sparing no expense or feature, these little fans even still have anti-vibration pads installed on all corners for those who will be mounting them with screws. I wouldn’t have even though twice about this had Noctua decided not to add them to the NF-A4x20 range of fans but low and behold, they did it anyways! This is the type of thing that makes Noctua one of the best at what they do! 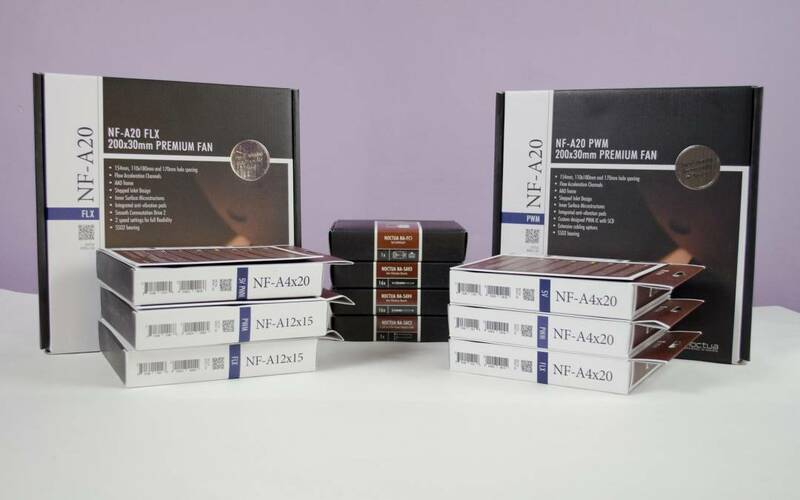 NF-A12x15 – These are the slimline version of the NF-A12 fans. Again, Noctua has offered them in FLX and PWM variants so users can get the right one for their needs. A decent slimline fan is very important to have these days, especially with case makers want to make things smaller and more compact than ever. 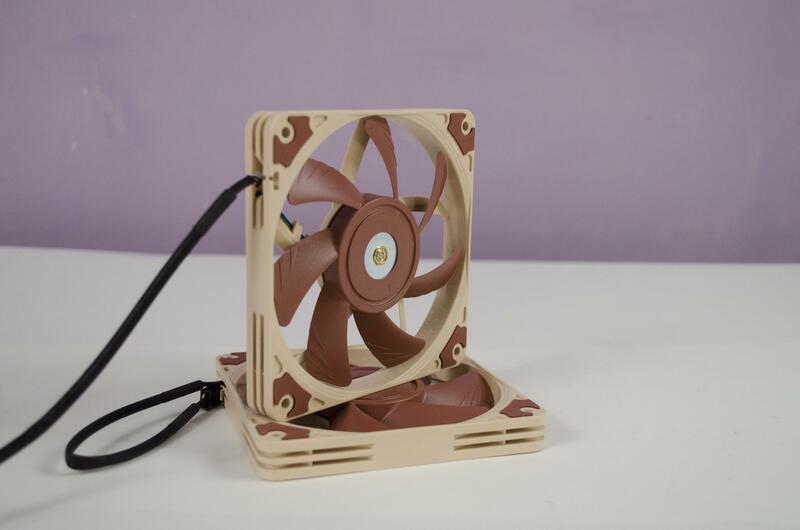 As always, Noctua has included the normal range of accessories with each one of these fans, just depends on what model you choose as to what accessories you get. 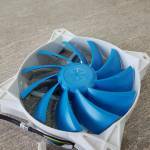 These fans are absolutely amazing, especially considering their slimline nature. Too many times have I personally ran into an issue where normal fans just don’t fit where they should. The main culprit of this is normally when installing a radiator into the top of a case and wanting to run a push/pull config but the fans are hitting the motherboard heatsink or RAM DIMMs. Well nor more of that as two of these are about as thick as one of most normal fans. So, in theory, where you can fit one standard fan, you should be able to fit two of these and should open up an endless possibility for users looking to use a push/pull configuration on their radiators. 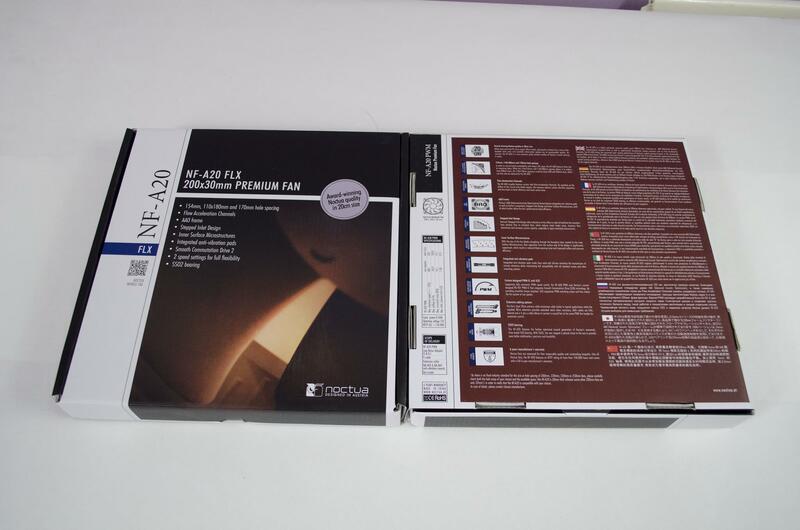 This is the 3rd size variant of NF-A fans we are looking at today and again, we have a different but still easily usable anti-vibration pad on all corners of the fan. 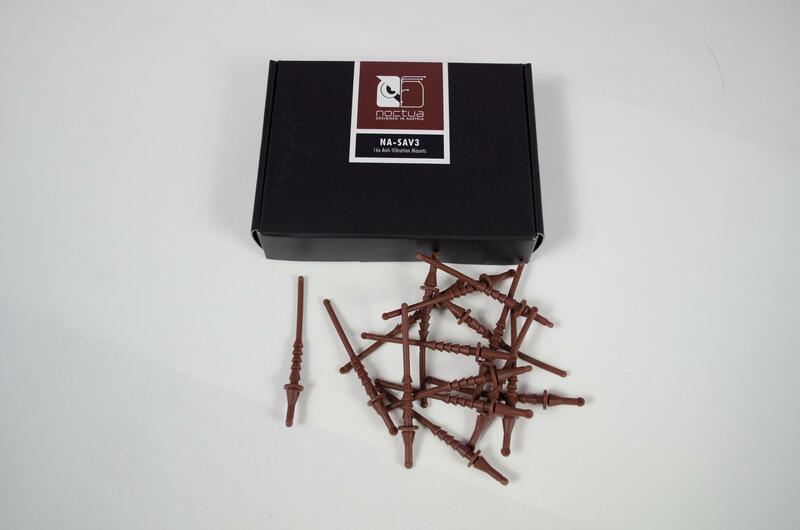 The R&D team at Noctua must be amazing as they never seem to let us down and are always full of surprises. 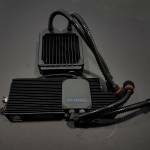 These are going to give PC enthusiasts the edge over cooling where space is a bit tight. Even if you have no space restrictions, these will look amazing and do a good job of cooling your components. As always, kudos to Noctua for supplying the industry with some top of the line products! 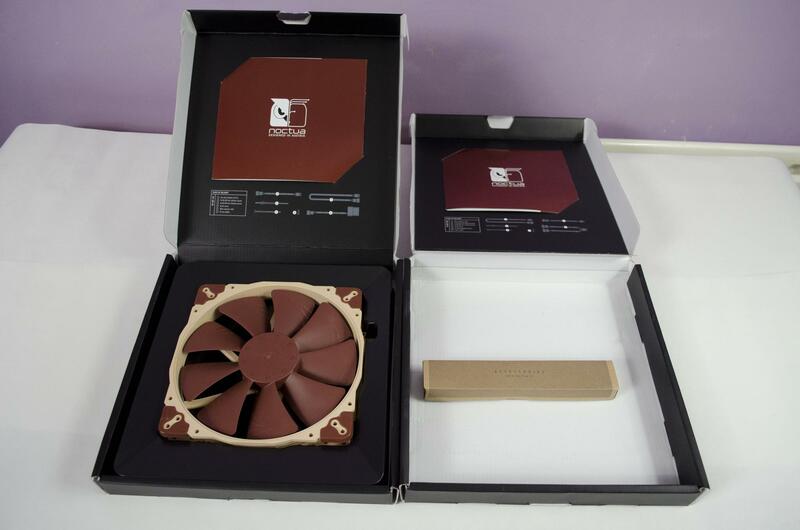 Jumping right into things and as you would expect from Noctua, the performance of these products is second to none. Given their respective sizes, all of these fans create a decent amount of airflow when tested in an open world environment, i.e. not in a case but just on a table. As mentioned I have actually used the NF-A4x20’s on a 3D printer in the past and was a great upgrade from the cheap fans that it had originally come with. While some may criticize the colour scheme, I don’t recall hearing very many people talk ill of the performance of any Noctua product. These fans all offer a great amount of airflow, again, for their respective sizes and remain as quiet as possible when doing so. 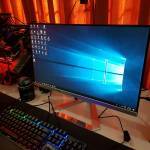 The massive NF-A20’s are for those who need the most airflow possible but do make sure your case or where ever you are using them can cater to their 20cm sizes. The AF4x20’s and A12x15’s are for when space is crucial and you need the most from your fans. The small 20mm and their unique size can come in handy for a number of scenarios. 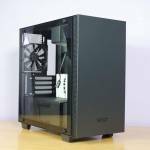 The added airflow to say the intake vents on a lot of the newer PC gaming cases is sure to help keep your components as cool as can be. The A12x15 are slimline and will surely come in handy for those looking to go with a push/pull configuration on any radiators for CPU and GPU cooling. Too many times have I seen a case where you can’t install a push/pull configuration due to space restrictions, well no more! 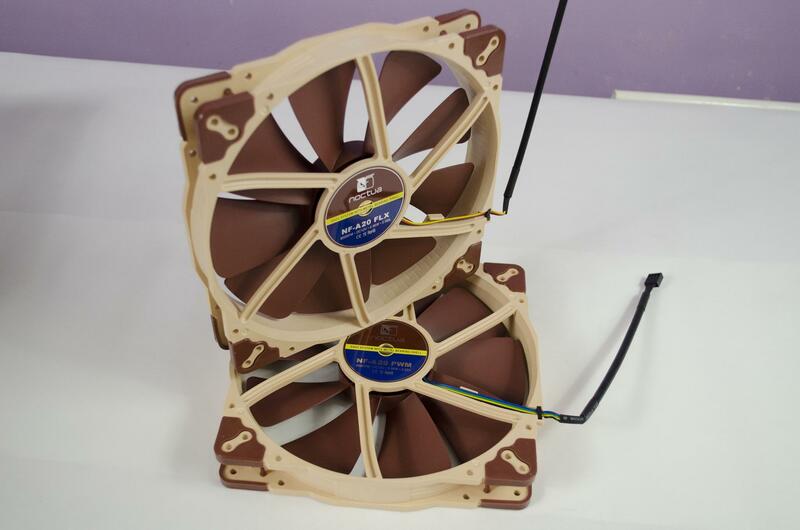 Noctua’s A12x15 are sure to help you overcome this issue with ease. 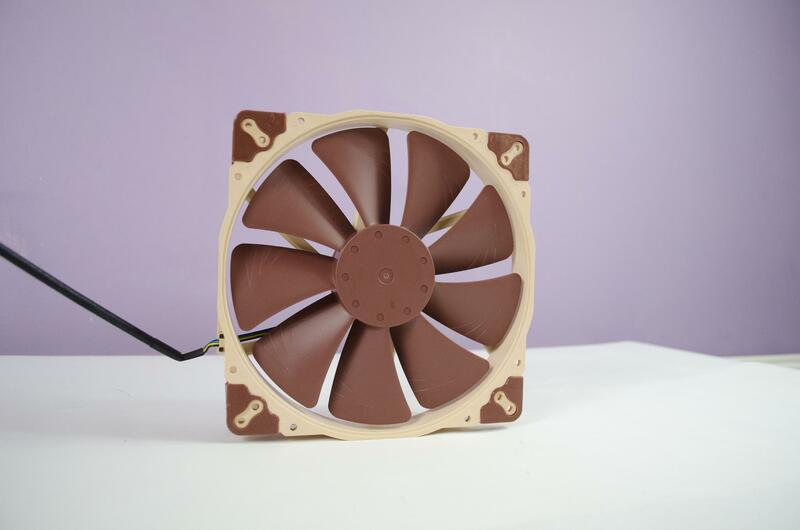 All of these fans in their own rights are equally useful and offer the same great performance we have come to know and love from Noctua. As far as the accessories go, they all perform as good as one could hope for. My Favourite was probably the fan controller as it allowed me to control my 2 front intake fans and 1 exhaust fan with ease. During the day I like them silent, but when the headphones come out and the game comes on, it’s time to turn the fans up a bit and this was done easily and quickly. The Anti-vibration mounts are nice as well. Not only do they reduce noise from vibrations, they allow you to install and remove your fans with ease which is always a plus when it comes time to clean them. 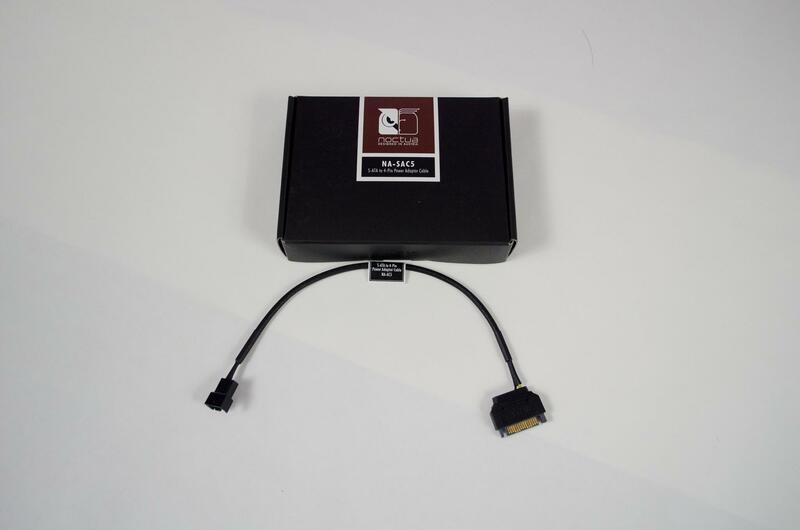 Lastly, the 4-pin PWN to SATA power cable is a great addition to any build as it will allow you to connect a fan to any extra SATA power cables you have coming from your power supply. Those with motherboards that don’t have a lot of fan headers and are not keen on using a controller will find these very useful. 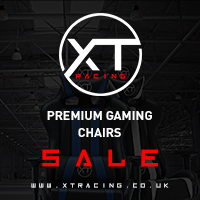 Premium products carry premium price tags and that is exactly what we have here. While you may be able to find similar options for less money, you have to think to yourself, is it really worth it? Well, I can’t answer that for you but I can say in om st cases it probably isn’t. 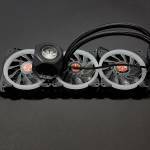 If you’re just looking for the bare minimum cooling and don’t need it for long, then yes, maybe you should get something cheap. However, if you want the best of the best and you want it to last you for as long as you’ll need, then Noctua has the answer for you. 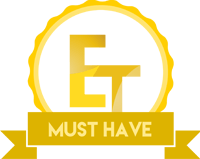 These products on review here today are well worth their individual price tags and you shouldn’t be put off paying a bit extra for them considering everything they have to offer.